FREE BONUS: Download our Peer-to-Peer Software Buyer’s Guide. You can save this resource as a PDF and use it to help determine what Peer-to-Peer software will best fit your organization’s needs. Peer-to-peer fundraisers such as runs, walks, and rides are exciting fundraising events because they foster competitive giving, harness social media, and connect larger networks to team-based giving. To make the most out of your next bikeathon, you need a great peer-to-peer platform, clear goals, and a team that is ready to make it happen. Is it easy for participants to invite others and fundraise through email and social channels? Can participants easily re-join an annual campaign or event? Can participants easily form or join teams? Are participants prompted to re-start or rejoin their previous year’s team? Can participants enter offline donations to credit their own page? What emails are sent automatically to participants to encourage engagement? Is it integrated with social media channels? Is it easy for participants to share, recruit, and fundraise through social channels? It is mobile-responsive out of the box? 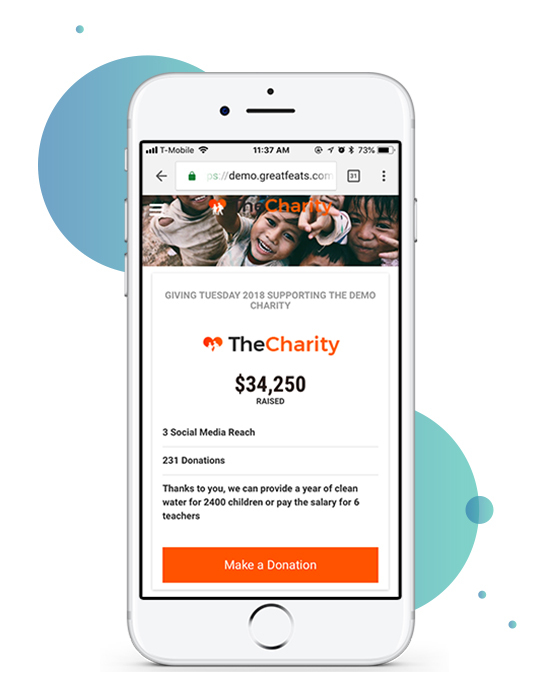 Is it easy for participants and donors to engage on mobile devices? Does it support your registration needs for individuals and teams, for registration types? Does it allow additional registrations? Can you access the reports and data you need? Can you easily set up and manage administrators? Does the platform “play well” with the other tools you use? Are there gamification capabilities to help your team engage and motivate participants? Beyond leaderboards, are you able to recognize achievement levels? Once you have a platform in place, then you’re ready to get started. 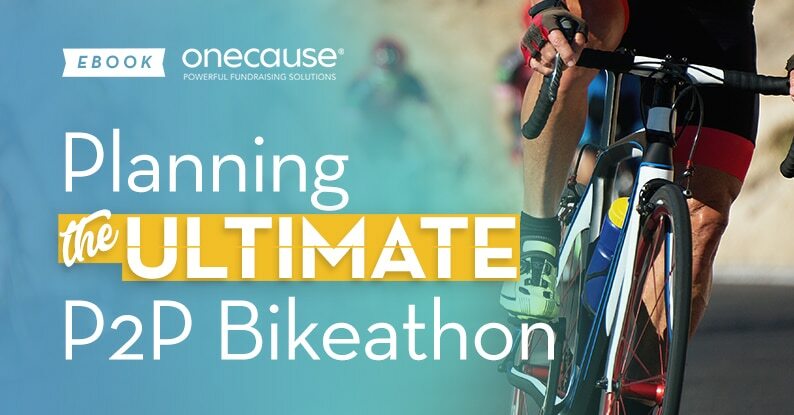 Let’s start planning to help your organization create the most successful bikeathon you can imagine! The success of your peer-to-peer bikeathon relies on how well you planned from the beginning. As with any fundraising event, the earlier you get started planning and deciding on an online peer-to-peer fundraising platform, the earlier you can start promoting your bikeathon. Peer-to-peer events, while extremely popular, can require a hefty budget, so be sure to discuss before you get underway. For maximum attendance, plan on launching your event site 3-6 months in advance. Your peer-to-peer online fundraising site should include background on both your charity and the bikeathon itself, all details (dates, times, etc. ), and an online and mobile friendly registration page. To increase donations, also include a ‘donate’ button on your site that allows donors to give money without participating in the ride. Setting goals is one of the most important parts of planning. These goals set the tone for every decision you make moving forward. There are two types of goals to consider during bikeathons: non-financial and financial goals. Non-financial goals include things like the types attendees, donors, and sponsors (and types of sponsors) you want to attract, and your marketing budget. Financial goals include the total amount you hope sponsors will donate, your registration fee and how much you hope to raise, and last but not least, your fundraising goal. A good starting point here is to look back at past peer-to-peer events your organization has hosted as well as previous bikeathons in your community to identify meaningful benchmarks and set new fundraising goals. Your financial goals are easier to achieve when they’re grounded in reality than if they are just pulled out of thin air. Peer-to-peer events, whether they’re runs, walks or bikeathons, have several things in common: they’re easy to participate in, they foster fun, interactive environments, and they include a shareable aspect that urge participants to engage their networks. For your next on-the-ground cycling event, find a creative, enjoyable concept to build your event around. This includes developing a strong, clear brand and message for immediate participant recognition. Make your event memorable and unique by adding in activities and contests in the weeks leading up to your ride. Use an online leaderboard so that participants can see how other riders stack up. On the day of youride, you’ll want to make sure you have a creative way to recognize these leaders (aka a badge, t-shirt, jersey, pin, etc.). Whatever you decide, determine your concept early so that you can get your online site set up and ensure participants are easily onboarded. Every event requires help, and an on-the-ground peer-to-peer fundraising event like a bikeathon requires more than a typical fundraiser. Within your own organization, appoint someone on staff or a key volunteer to manage the entire campaign, and people to oversee marketing, promotion, finances, recruiting and your online peer-to-peer fundraising platform. Outside personnel include volunteers, course managers, SAG experts, and other logistics-focused roles. The Build stage is all about creativity and innovation. The biggest focus of the Build step is to configure and design your peer-to-peer fundraising event site and optimize it for your bikeathon participants and donors. First, determine the design and brand of your event. This includes the title of your event, event logo, colors, and tagline. Make sure you’re thinking long-term with your bikeathon brand in case you decide to make it an annual event for your donors. Next, it’s time to build your portal. With a full-service peer-to-peer fundraising platform, your registration, donation, and information pages are all on one site, making it easy for your attendees to find information, register, and even donate without having to leave the page or search for information. Registration types: Are you going to let riders register individually? What about as a team? Registration fees: How much is registration? Do you need to build a separate form for those who want to donate on top of their registration? What about those who just want to donate without riding? Fundraising minimums and suggested goals: What fundraising goal do you want to suggest? Do you have a fundraising minimum? If so, will you enforce it? Discount codes: Are you offering discounts to specific groups? Will you provide codes to certain groups? How do you plan on meeting your financial goals while still using discounts? Sponsors: How are you including your sponsor logos on your site? Is there a specific page where organizations can sign up to become a sponsor? One of the most exciting parts of peer-to-peer events is the element of competition. Competition and social networking are key to maximizing participant donations and creating broader engagement. Leader Boards: Showcase your top donors on your webpage in a leader boards that automatically updates as new donations come in. Contests: Promote pre-bikeathon contests on your online site or through social media to get participants engaging with each other before the event starts. Matches: Announce a spontaneous matching gift day (or week!) to create a sense of urgency and to give participants motivation to fundraising and donors extra motivation to give. Drawings: Reward your top participants by hosting drawings or giveaways that only participants who have given over a certain dollar amount are eligible for. Include a tab or link to all the ways participants and their friends can engage with your organization leading up to your bikeathon – and after. Share links to your social media accounts and have live activity streams on your event fundraising site. Post videos and pictures to raise excitement, and provide a way for participants to share their personal photos and videos with the rest of the audience. Once your event fundraising site is ready, it’s time to launch! Before go live, test your registration and donation flows to make sure you are giving your participants and donors the experience you want. It’s a good idea to have someone not connected with your event to review your portal to make sure your messaging and content makes sense. And, most importantly, make sure dates and times are correct! Once you’ve reviewed and tested your peer-to-peer fundraising site, it’s time for soft launch. Roll it out to a small audience. Send to your board or a select group of repeat donors so they can give everything a last once-over and share feedback before the big reveal. Having some sort of soft launch is also important because your initial audience will be the first to register and make the initial donations. This means your site will have some action before you promote wider. Next, it’s go-time! For most nonprofit teams, promoting peer-to-peer events is the most fun part of the planning/execution process. Marketing and promoting your event starts bringing your participant audience together with your cause. 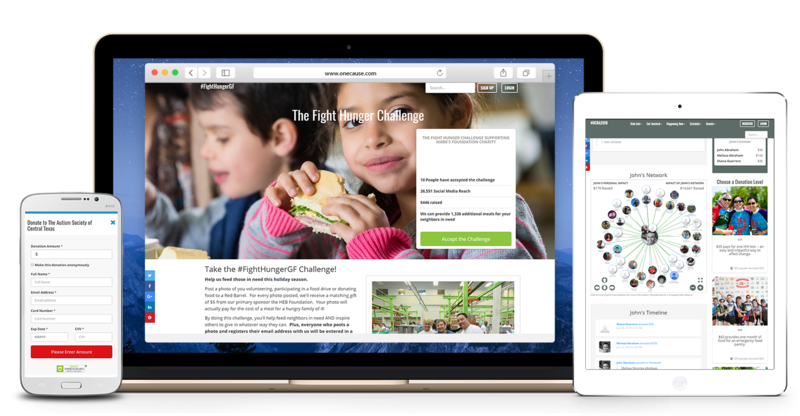 Thanks to the peer-to-peer elements you built into your event fundraising site, your promotional strategy has two parts: outbound marketing content your team pushes and organic traffic brought in from current participants. With participants attracting new donors and competing against each other to raise funds, your bikeathon packs a 1-2 fundraising punch. Email: Don’t underestimate the power of emails. Send targeted email to your entire database, as well as those who have participated in your events in the past. Personal Outreach: t’s worth personally contacting your top fundraisers from previous years to invite them to join this year and thank them for all of their support. Let them know the difference they make. Social Media: This is a no-brainer for peer-to-peer bikeathons. Follow community influencers and any participants who follow you, and make sure to engage with their posts. Build a detailed social media calendar starting a good 3 months before the bikeathon to make sure nothing slips through the cracks. Direct Mail: People still love getting mail, and formal invites to a charity bikeathon count. Consider a creative direct mail piece for your top fundraisers to grab attention and drive registration. Print Collateral: Leveraging the same branding as your online fundraising site, create a series of posters, flyers, and print ads to promote the bikeathon throughout the local community. Sponsor Ads: Partner with local radio and TV stations to spread the word to the community in exchange for including their logo with your other sponsors. Sponsor Teams: Have your sponsors invite their employees to participant. If you have a registration fee, consider providing each sponsor with a discount code to make their employees feel special and motivate early registration. The most important thing to remember when promoting your bikeathon is to link everything back to your peer-to-peer site! Make sure all URLs are in your written materials and in all advertising. The last thing you want is for someone who is interested not to be able to find your event. Step 5: FOLLOW-UP with participants and get ready for next year! Once your bikeathon is over and the bikes have been rolled away, it’s time to celebrate. Don’t get too crazy, because there is still plenty of work to do. Thank & Show Gratitude: sending a personalized note thanking donors, volunteers, sponsors and staff for their support and mentioning how your organization will use their generous donation promotes long term donor engagement. For the top donors, consider a phone call as a personalized touch. Keep Fundraising: keep your peer-to-peer fundraising site open past the bikeathon to ride the afterglow. Continue social posts and other low-engagement promotions so that participants stay connected to your organization. Gather Feedback: send a quick survey. Include questions like “How did you hear about the bikeathon?” and “On a scale of 1-10 how easy was the registration process?” and “How did you recruit other participants to join the event?” and “What is one thing you recommend we include next year?”. Start Planning: with your wrap up done, your team can start identifying new areas of opportunity and improvement for next year’s bikeathon. Peer-to-peer events are a constant cycle of creativity and engagement, and with the right planning process in place your bikeathons will only continue to grow in popularity. WANT MORE? Check out these Peer-to-Peer resources for tips to help you raise more and reach more. See the OneCause Peer-to-Peer & Social Fundraising difference yourself, test drive the software today.